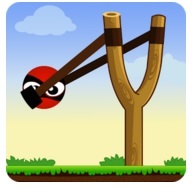 The game is to knock down the boxes using a slingshot and balls and it’s a level game. It has many unique and interesting levels where you have to knock down all the boxes using your logical and aiming skills to complete a level. The physics used in this game is very accurate and interesting. You will surely enjoy it. You can also zoom in, zoom out and move the game scene to see close look. So click on download button and enjoy this interesting world game.